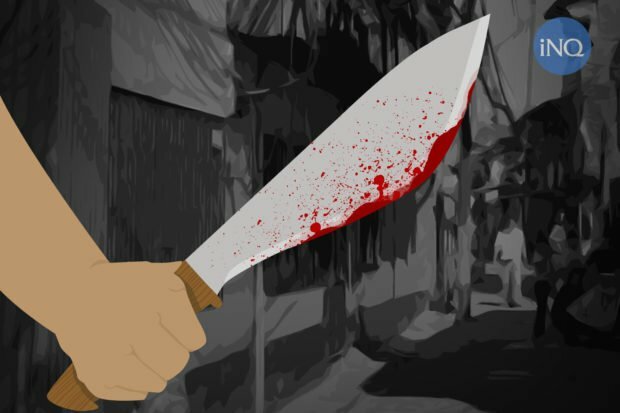 LUCENA CITY – A drinking session turned bloody after one of the merrymakers was hacked to death in San Narciso town in Quezon province Monday night, police said Tuesday. Senior Supt. Osmundo de Guzman, Quezon police director, quoting a spot report, said Rocky Conel and Marlon Abel were having a drink in Barangay (village) Calwit around 10 p.m. But the drinking session led to a heated argument between the two that prompted Abet to hack Conel. The victim sustained serious wounds in different parts of the body that caused his immediate death.